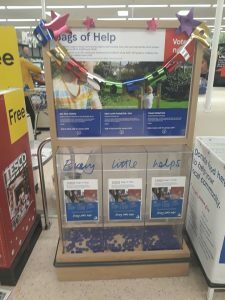 You may remember that over November and December, we asked you to vote for us when shopping in all five Chester and Broughton Tesco stores using the blue tokens you receive at the checkout. Clearly you not only listened, but you also took action, as we are pleased to announce that we have been selected by you, our supporters, and the wider community to be awarded the highest grant of £4,000. We are simply blown away by the support we have been shown by the communities of Chester and Broughton. We would like to say a big thank you to Tesco and an even bigger thank you to all of you who voted for us. This funding will go a long way in helping us to continue to provide the valuable services that we do for the people of our own community. We are always looking for ways of raising funds, as a largely volunteer-led team, we simply could not continue to provide our services without fundraising. If you think you have a fundraising opportunity for us, get in touch with our fundraising team who would love to hear from you and work with you to achieve your goal!